Home Computers and Internet Why is cloud storage important? Cloud storage has become increasingly common within the last five years as more and more companies feel comfortable moving their data to centralized servers of third party cloud service providers. The anxiety of losing control over corporate data is giving way to more practical concerns such as the reduced cost of data storage and efficiency in accessing and sharing data across offices and branches. This article explains why cloud storage is important for small organisations as well as much larger organisations operating internationally. An obvious benefit of cloud storage is that it saves money. Subscribing to a cloud storage service is much less expensive than owning and maintaining your own servers. There are several file storage solutions in Los Angeles that offer budget-friendly cloud storage plans. Because the cloud service provider can spread the fixed costs of procuring and maintaining servers across thousands of customers, you actually end up paying much less than you would for an entire server just for your data. Another benefit of cloud storage is that for the subscription fee you pay, the company takes care of all data maintenance tasks. This includes protecting data against hacking and any other intrusion, taking regular backups and making sure adequate server space is available for all your data needs. By reducing the need for all this maintenance, you can focus your energies on extracting the maximum business benefit out of this data. When you sign up for a cloud service, all your data storing and management needs are taken care of by the company. This means that you can either allocate your IT staff to more productive or strategic tasks, or simply reduce the size of the department. In fact, many companies have been able to eliminate the need for a separate IT department altogether after subscribing to a cloud service. By subscribing to a cloud service, you automatically contribute to creating a cleaner environment. Cloud computing is an environmentally friendly option because it leads to a drastic reduction in the cost of utilities needed to run separate servers and data systems for every other organisation. The electricity consumption for a centralised cloud service that serves multiple users is much less. Thus, the impact on the environment is less severe. If you maintain data on proprietary servers, then any disaster such as a fire or earthquake could lead to complete loss of all data, including backup. The benefit of using third party data storage solutions is that your data is distributed across multiple locations. Moreover, cloud service companies invest considerably in securing their servers and your data against server failure, fire, flooding, earthquakes and other disasters. Transferring all your corporate data to the cloud means that any item can be accessed at any time from any location. This leads to a significant improvement in the speed and quality of decisions. No matter which part of the world you are located in, you can easily extract any file or data simply by logging into your cloud account from any computer. The need to coordinate with the IT department back home is eliminated entirely. In line with the previous benefit, cloud storage is especially important for international businesses that require data to be accessible in different parts of the world. Investing in expensive data servers for multiple locations and branches can be a drain on resources. A less costly and equally efficient alternative is to subscribe to a cloud data storage service. Some of the large and even medium-sized cloud companies have at least one server located in North America, Europe and Asia, which is sufficient to meet the needs of their clients operating in all these locations. 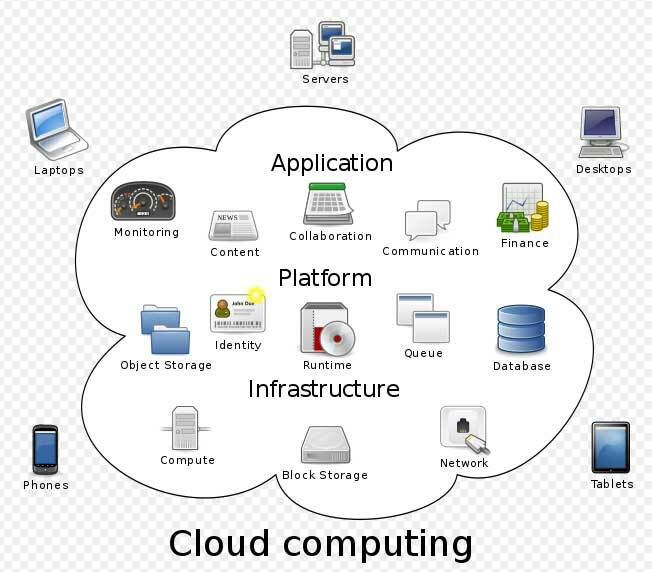 A very practical benefit of cloud computing is that it is scalable. Normally, it is very difficult for a small company to purchase, install and maintain its own servers. However, by subscribing to a cloud storage service, even small businesses can get access to server resources. Cloud storage companies offer different subscription plans that are affordable for small and medium-sized businesses. Therefore, thanks to cloud computing, even small organisations can acquire the same level of efficiency in data management than large organisations. Cloud storage is fast becoming the norm in corporate data management. Cloud storage companies are becoming highly professional and are using sophisticated techniques to ensure the safety of data stored on their servers. Within the course of a few years, it might even become rare to find a company that is not using third party cloud servers to store their data. Keeping in mind the needs of your business, you may be justified in having some concerns about using cloud storage services. However, as the experience over the past few years shows, businesses have found cloud storage to be an efficient, practical and cost-effective option to the traditional approach of storing data on proprietary servers. Full time and dedicated blogger who loves to read and write everything about newest Technology, exploring and hence, love to review latest tech gadgets!